Able to capture data from up to 480 devices situated around a site, it constantly relays data back to the user via an integrated LCD display screen (with LED backlighting) including, active fire alarms, intruder alerts, first aid alert, heat and smoke detector activations, battery low warning and signal failure. It is capable of holding event logs, so the user can go back to an event to find accurate date and time of any alert. These events can be viewed if necessary in the history folder, held on the panel. The panel has other features including an evacuate site function which can be used in case of an emergency and can be used as part of the intruder alert functionality to switch intruder sensors on and off. 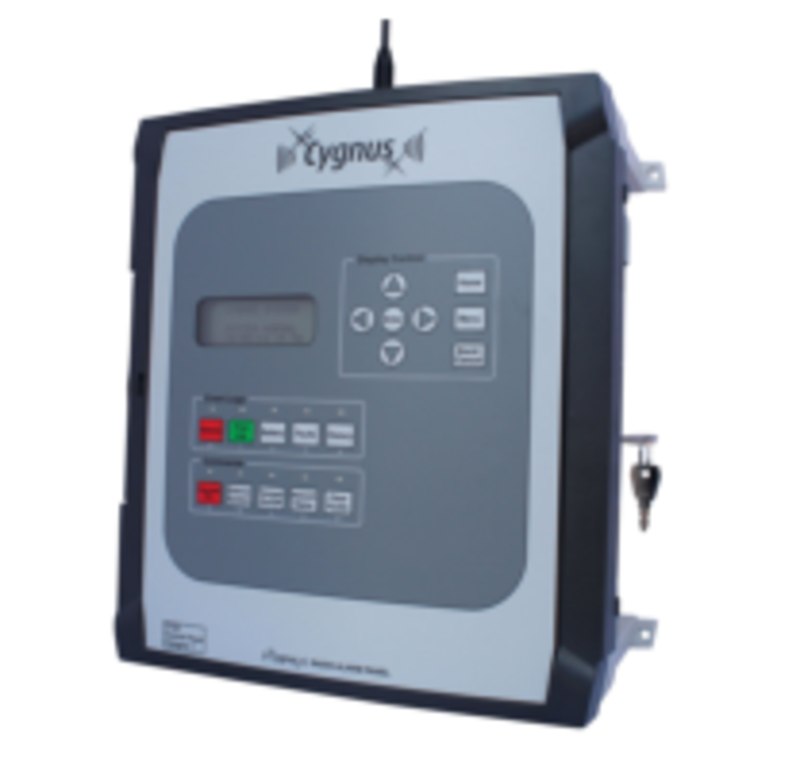 There are outputs to connect to on-site paging systems and/or GSM facility for off-site and out of hours’ protection. Whilst being mains powered the panel has the ability to run up to one month without power due to a 6v battery backup. Please don't hesitate to call our sales team on 01432 806806 to discuss any requirements you may have.